With three Pixel-branded watches rumored to release this year, and many changes coming to Wear OS (formerly Android Wear), 2018 should be an interesting year for smartwatches. Samsung is rumored to be working on two sizes for the Gear S4 -- which may actually be called the Galaxy Watch -- while Apple is said to be chipping away at some game-changing health tracking features for the Apple Watch Series 4. But in the meantime, there's the Huawei Watch 2. 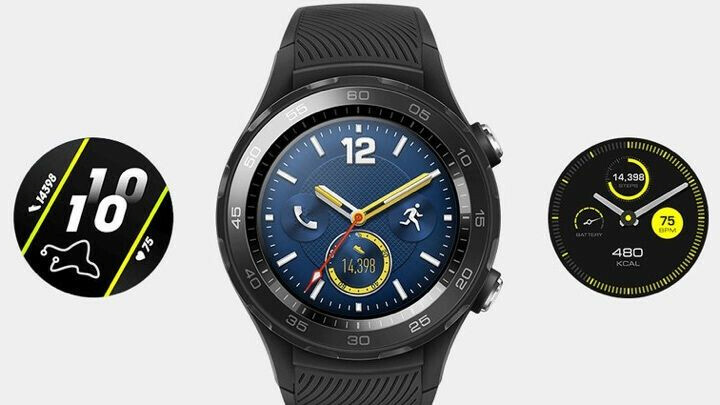 Huawei has been rumored to be working on a successor to last year's model, but it seems like the company is not ready to jump to number '3' and will instead do the Huawei Watch 2 2018. According to a new tweet by leak maestro Evan Blass, which has since been removed, the new watch won't be a radical redesign, but will instead be an iterative upgrade over the Huawei Watch 2. It looks pretty much the same, only more sporty, and reportedly offers similar hardware – the same Qualcomm 2100 chip that powered last year's model, paired with 768MB of RAM and 4GB of internal memory. It even has the same 390 x 390, 1.2-inch OLED display. 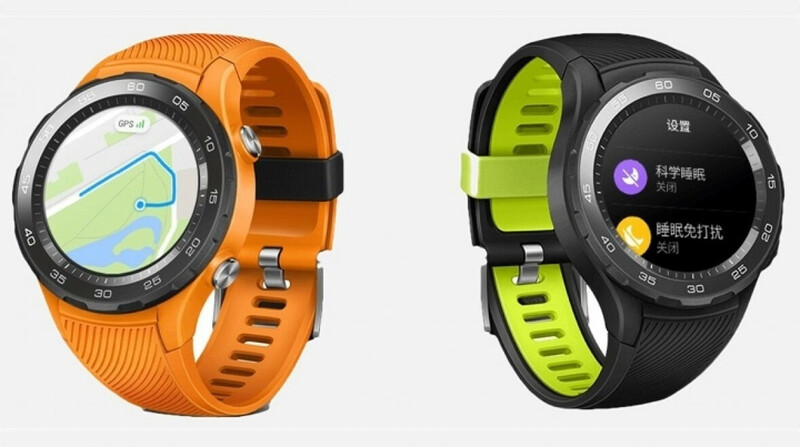 The Huawei Watch 2 2018 has two new sensors on board, however – a capacitance sensor, which could be in charge of measuring environmental humidity or persipitation, and a geomagnetic sensor, which should offer better tracking abilities in outdoor areas, Wearable reports. The big difference, according to Evan Blass, will be the inclusion of eSIM support in the 2018 model. As for the price and release date, it's too early to tell. Given the small differences with last year's model, pricing of the new model would probably be comparable. Horrible Black sporty thick smartwatch. Do companies not understand most people wear a Stainless steel watch, the Huawei W1 is still the best looking smartwatch, it just needs updating, better battery lift, NFC & thinner. I 100% agree. The Watch 1 had the best screen-to-body ratio of any smartwatch ever, but since then they've gotten bulkier and less appealing. Give the silver Huatch 1 the rounded case of the females version and I'd agree that Huatch 1 was the most elegant Wear OS watch ever. But the straight sides cause it to look like a soup can. I've kept my DUMB Casio LCD watch because it is stainless steel from the face, to the band. I don't care for the resin watch bands. My cheap casio illuminator has a 55cm face, displays 3 time zones, day/date and the flipping battery lasts 10 years. Not only that, I don't have to worry about banging it or dropping it. It tells time, everything else is on my phone. Oh my God Huawei! Just give us an upgraded V1 already! Looks like I'll be sticking with last years model then. No reason whatsoever to update. And not a wise move from Huawei given that Google will be coming out with a couple of new Pixel smart watches later in the year. So I may go with a new Pixel if not too bulky.